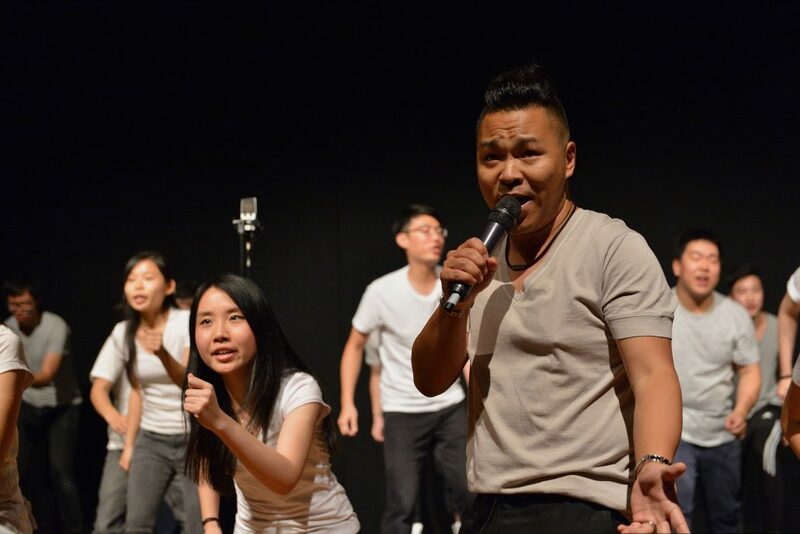 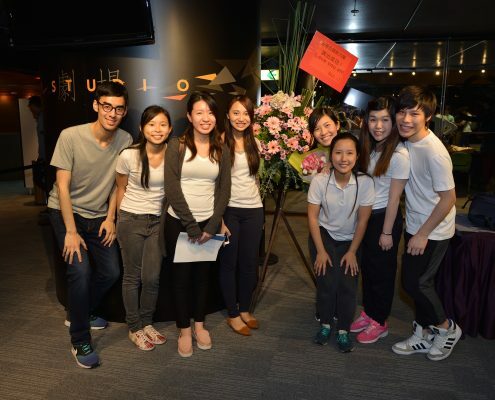 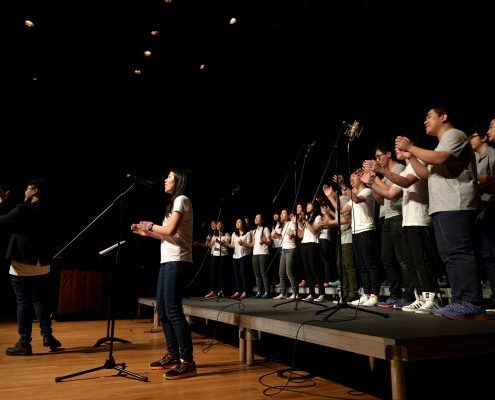 In celebration of our 5th anniversary, we held our concert at Youth Square Y Studio on the 2nd of June. 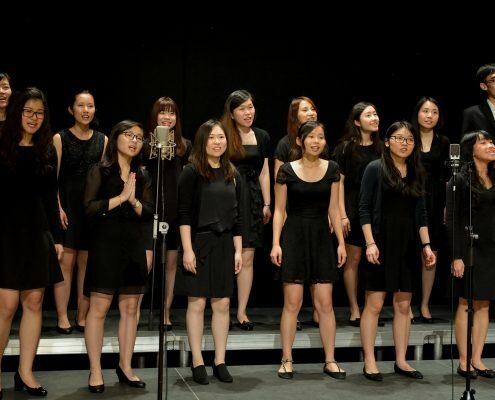 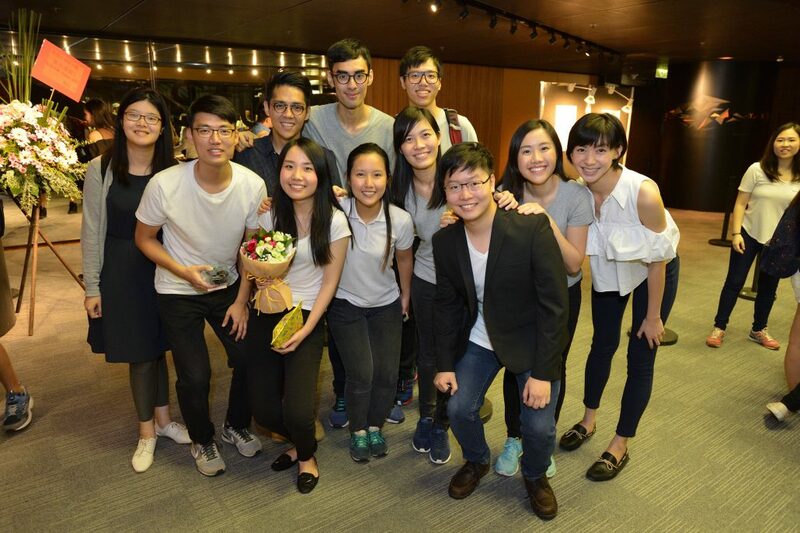 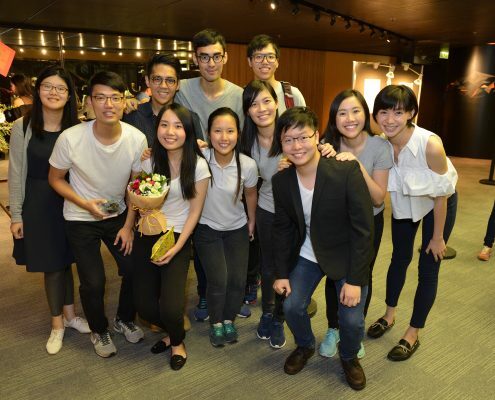 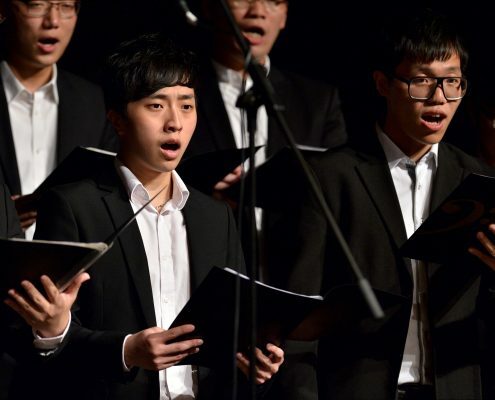 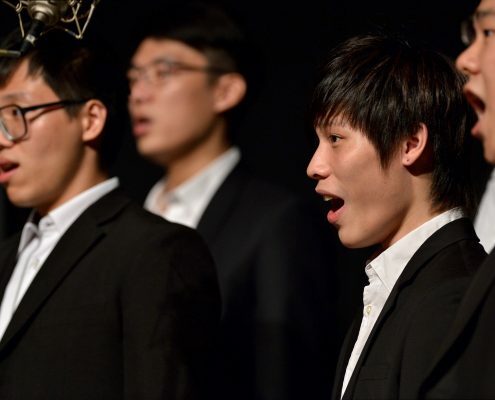 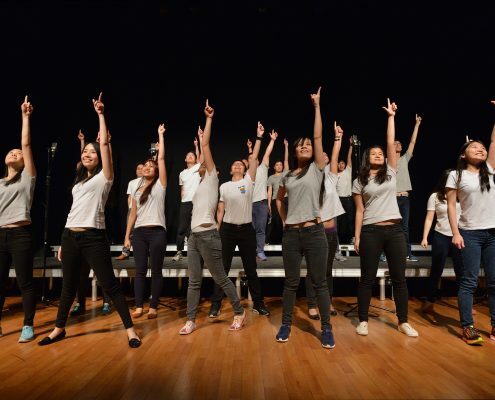 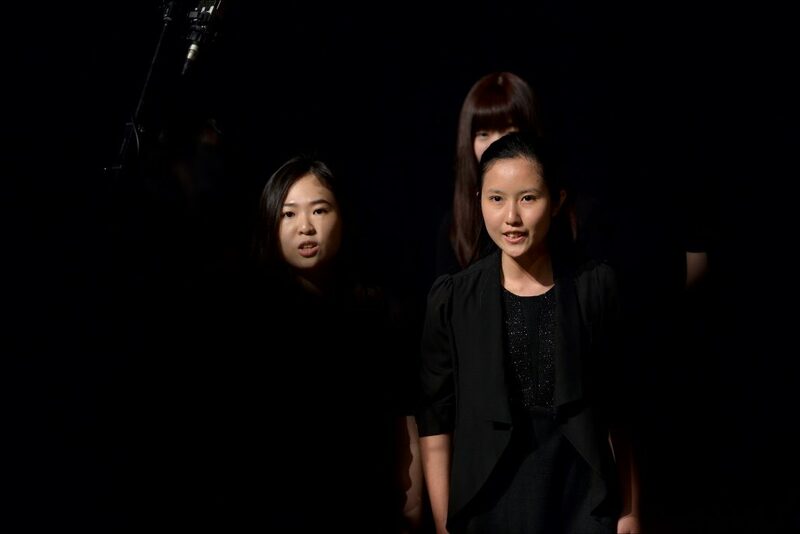 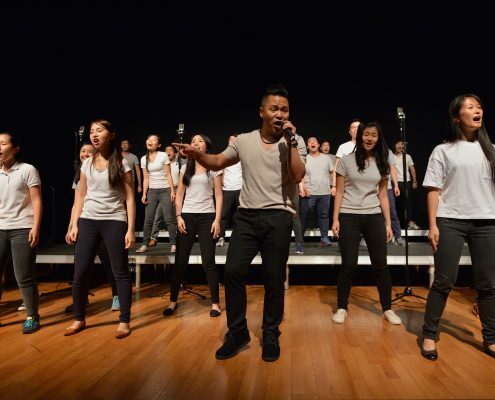 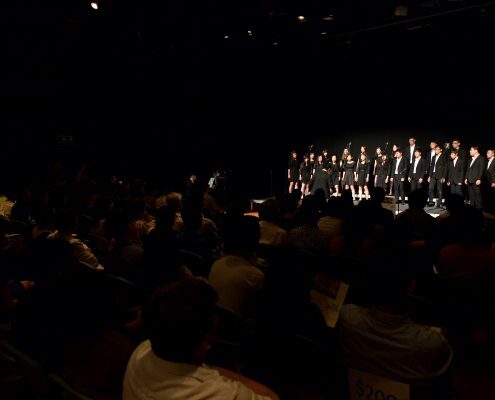 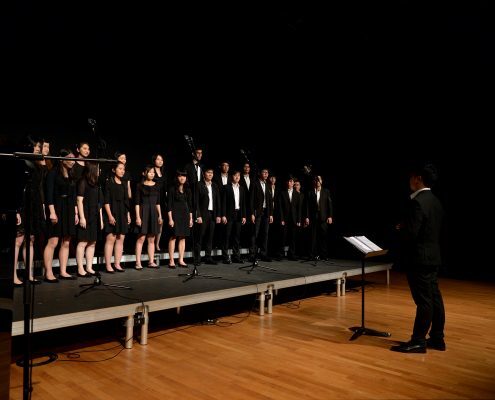 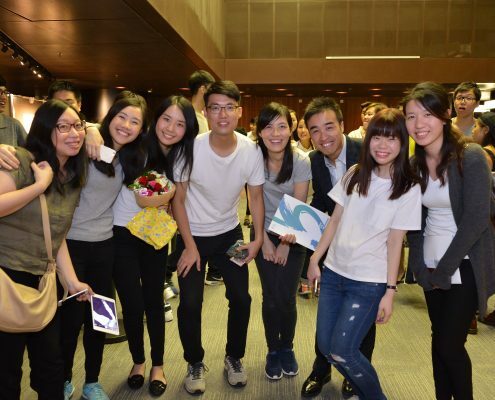 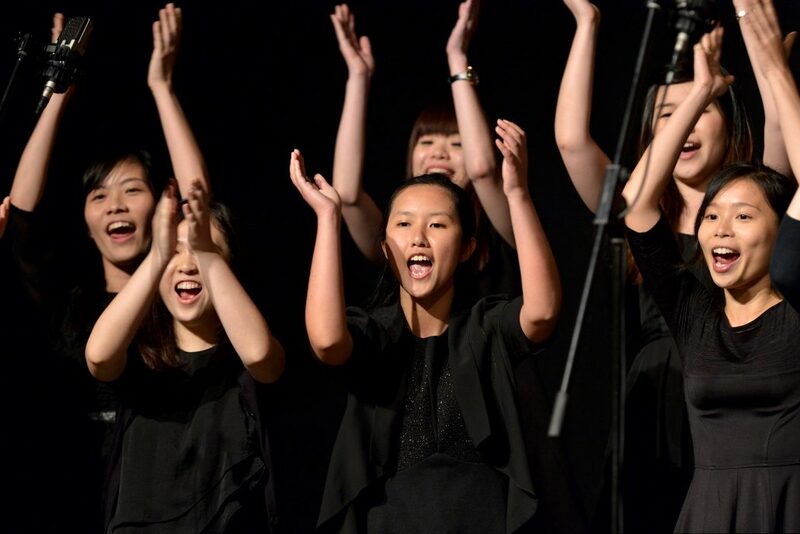 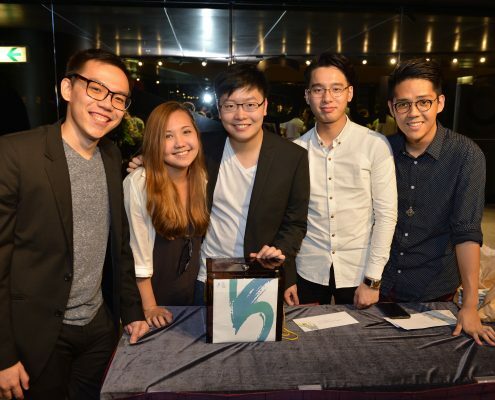 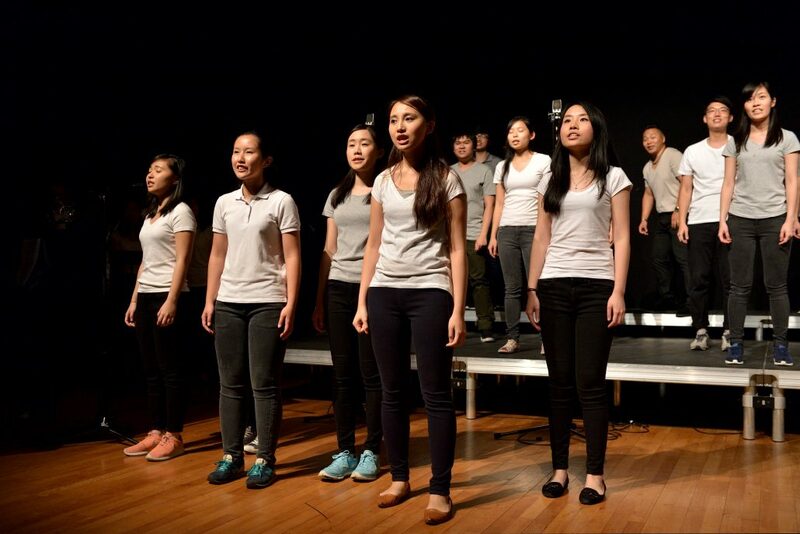 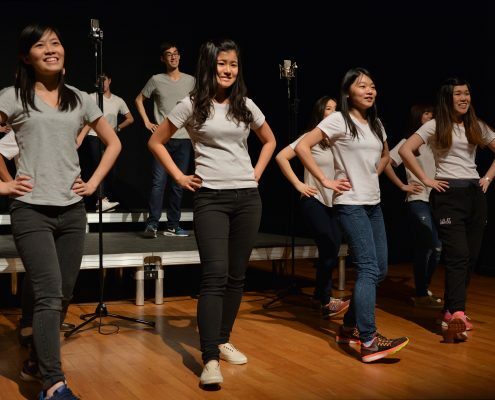 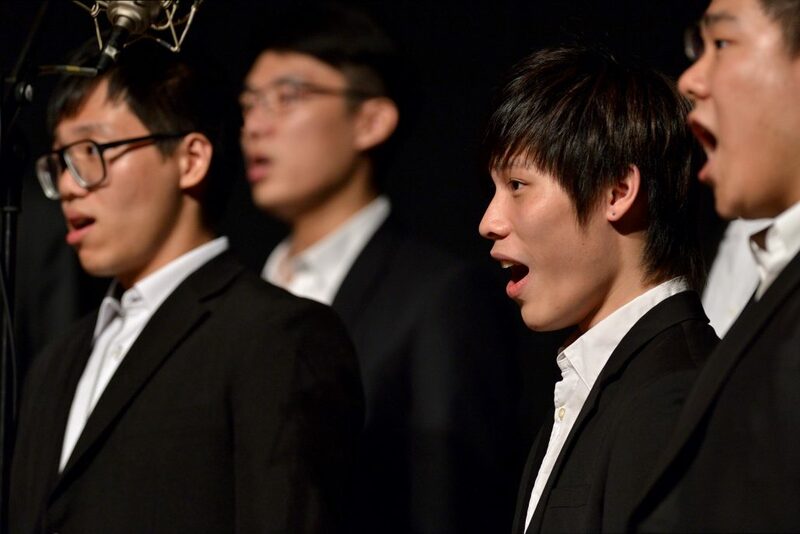 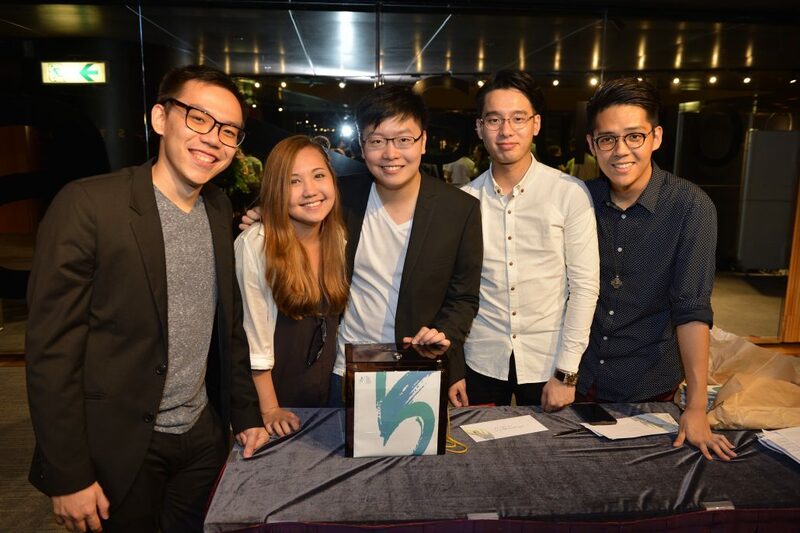 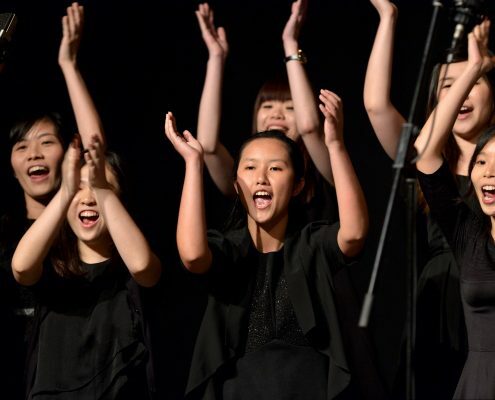 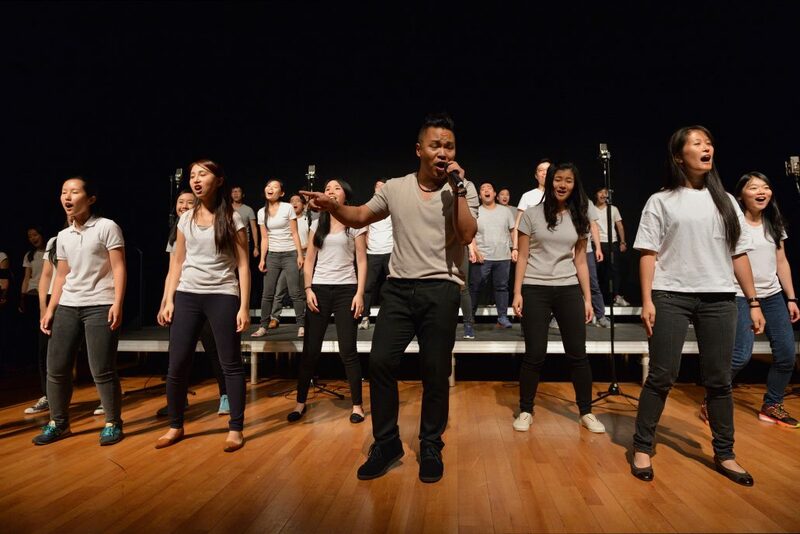 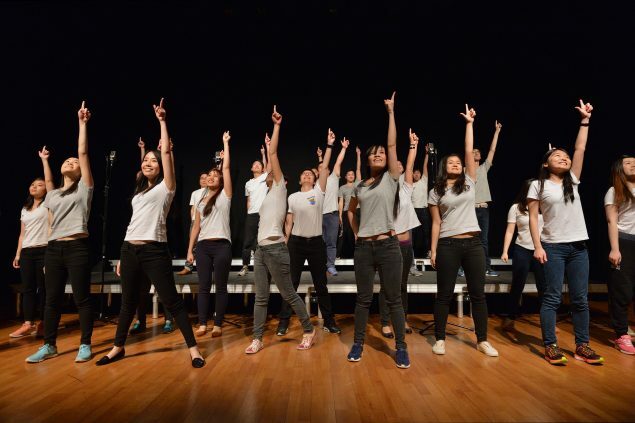 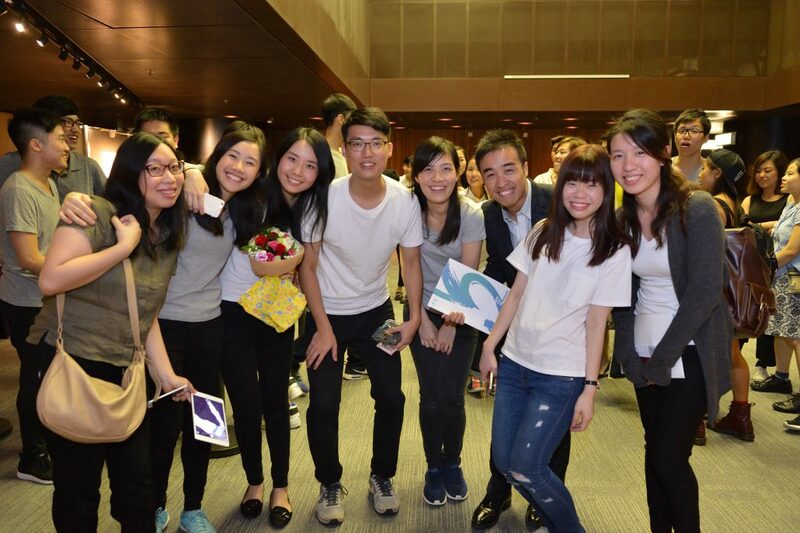 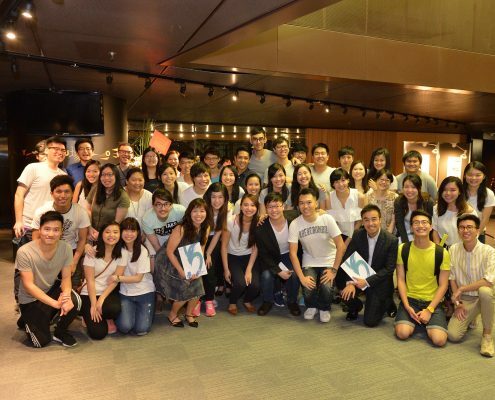 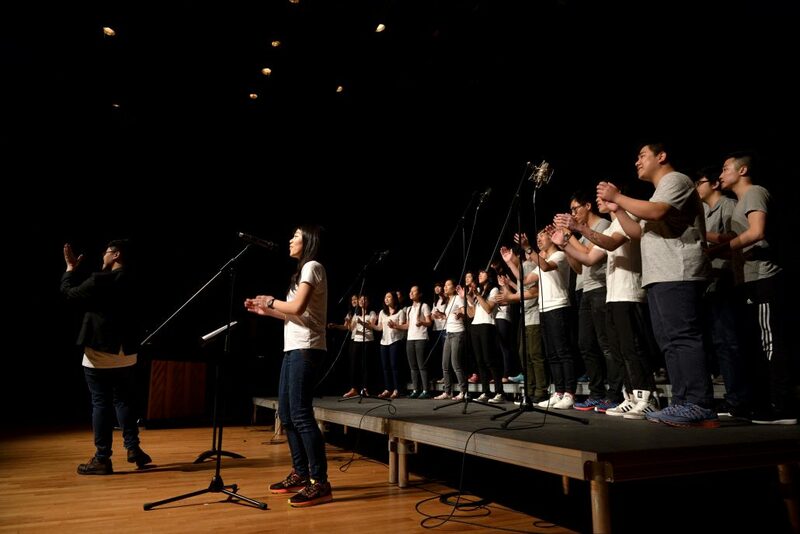 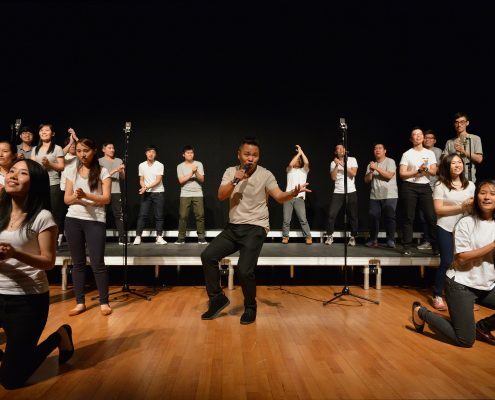 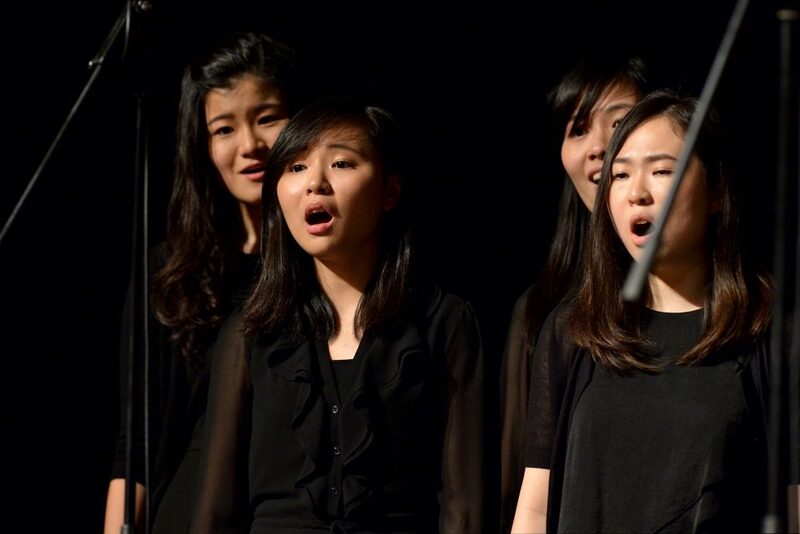 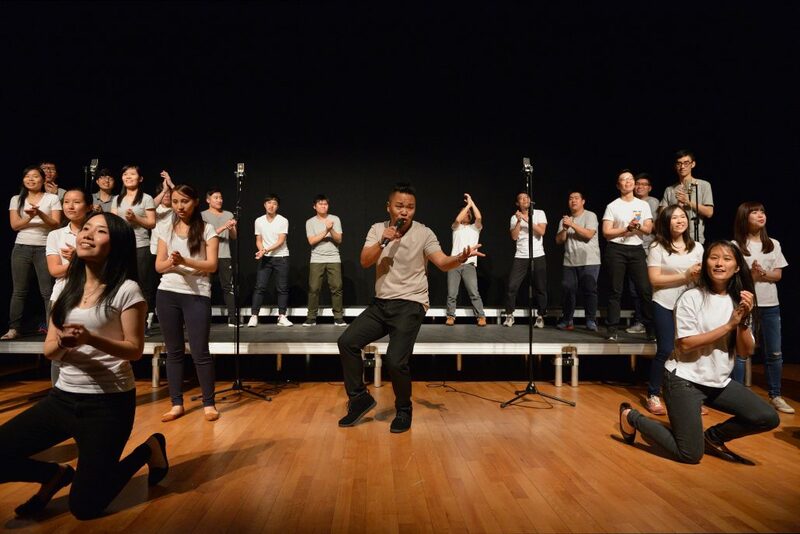 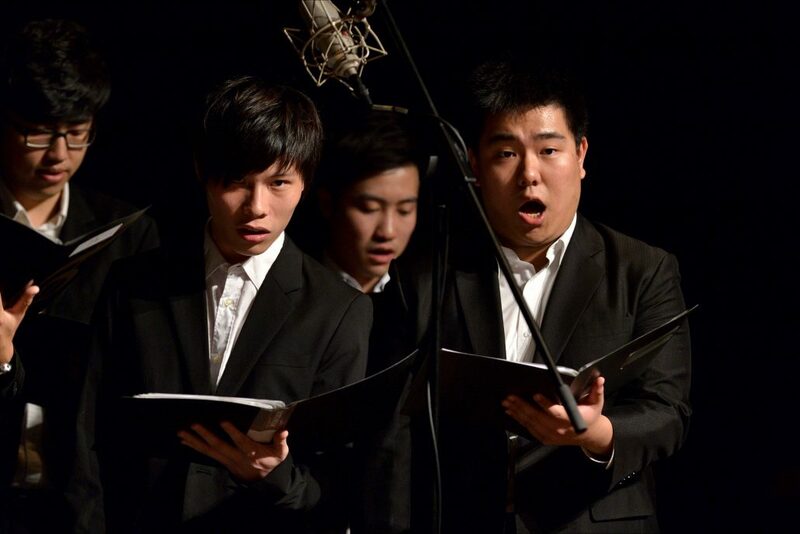 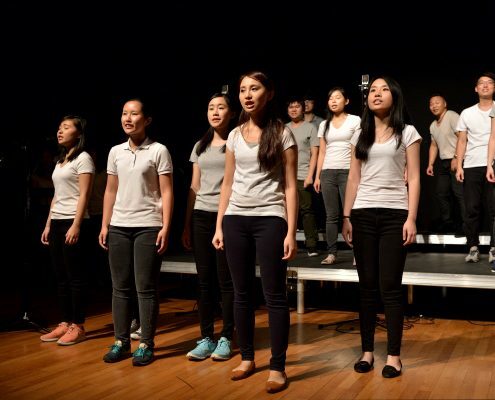 This concert featured the HKVC along with guest performers – distinguished erhuist Mr. Wan Pin Chu and choral ensemble Brio – and was an occasion marked by much festivity and joyful spirit. 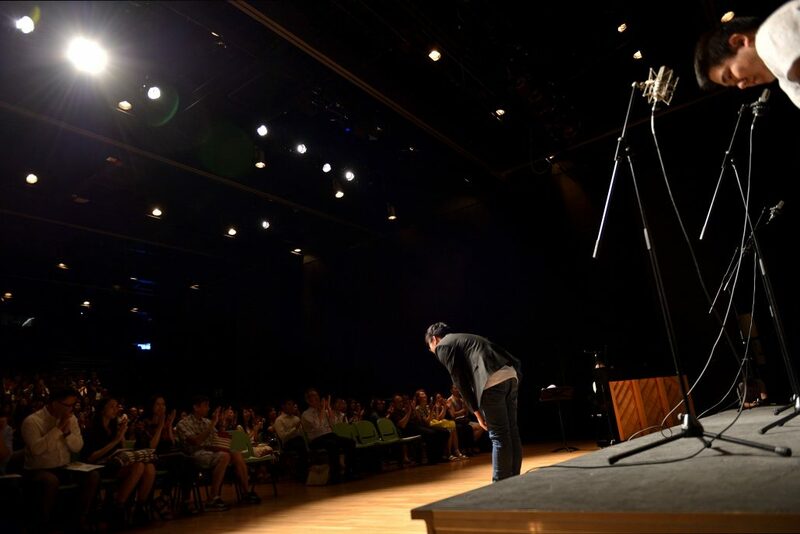 The concert began with Salmo 150, Ernan Aguiar’s fiery Brazilian classic, complete with rhythmic backgrounds and rapid articulations to inject an intensely energetic atmosphere to the concert from the outset. 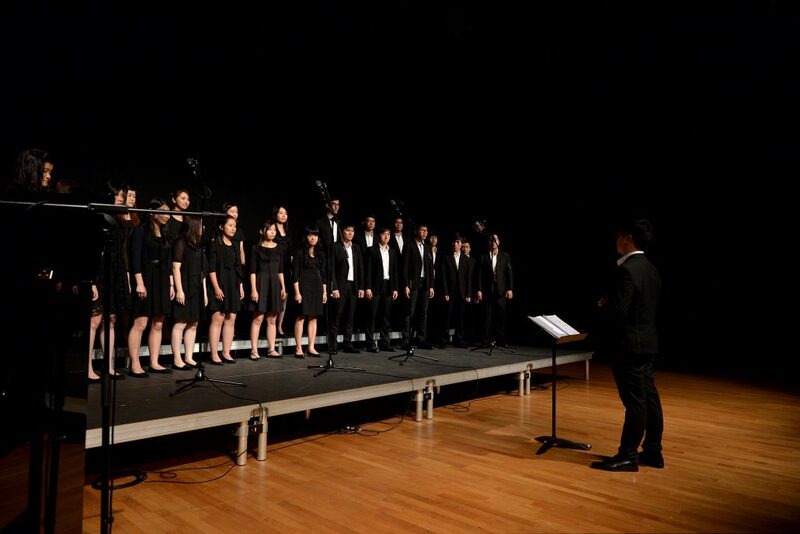 Our subsequent performances in the first half included Thomas Morley’s Renaissance classic “April is My Mistress Face”, Jack White’s contemporary hit “Rain”, along with spiritual pieces like Keith Hampton’s “Praise His Holy Name”. 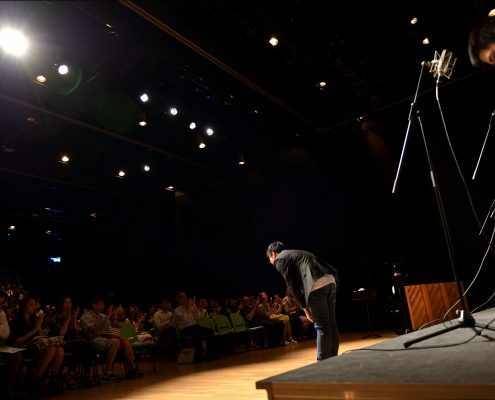 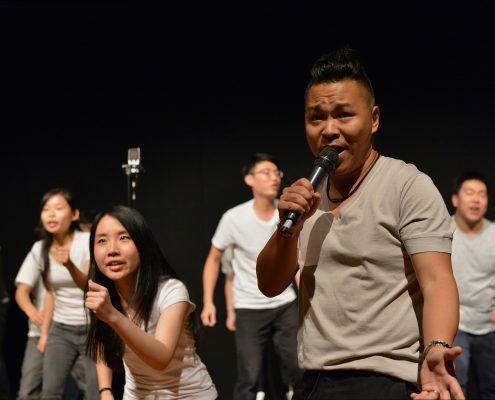 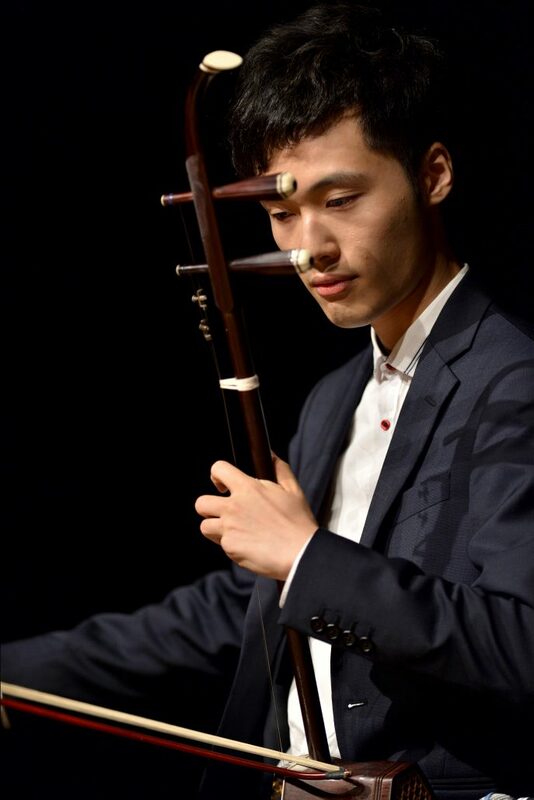 We were honored to share a stage with Mr. Wan Pin Chu, award-winning erhuist from Hong Kong, in performing the timeless folk classic “Molihua” (茉莉花). 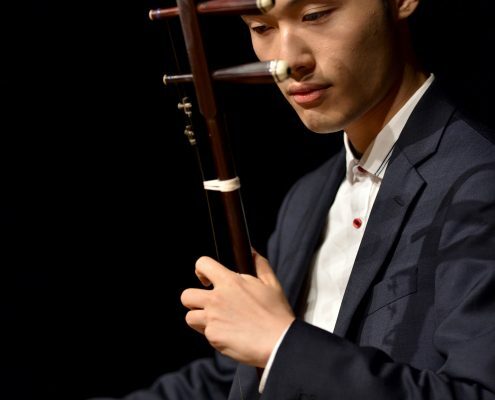 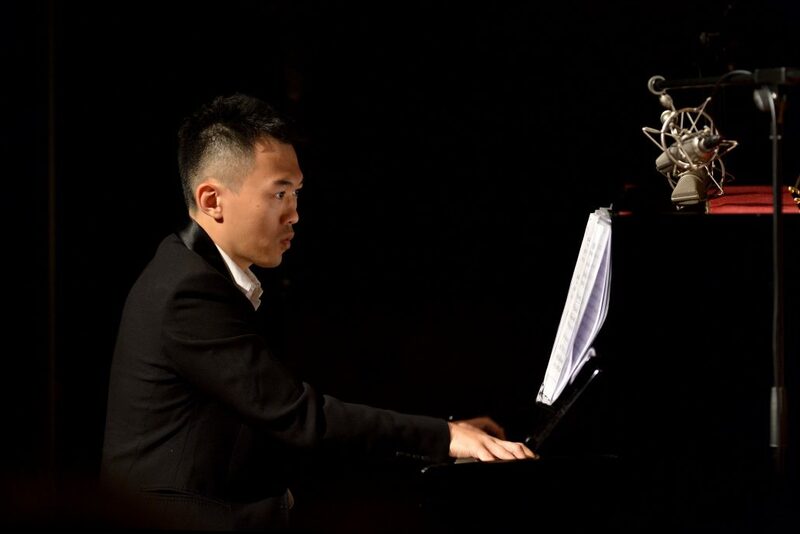 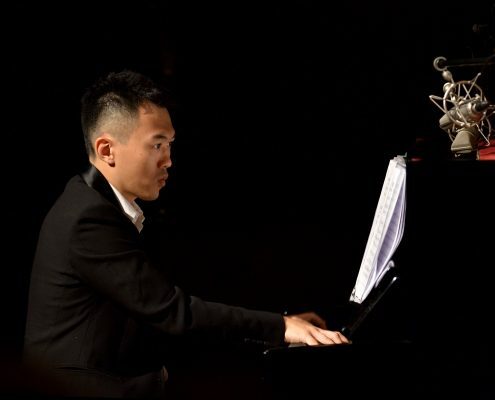 Mr. Chu subsequently performed Nikolai Rimsky-Korsakov’s riveting “Flight of the Bumblebee” and “My Destiny” (from “My Love from the Star”) – engrossing performances that imbued Western classics with an unmistakeable traditional Chinese voice. 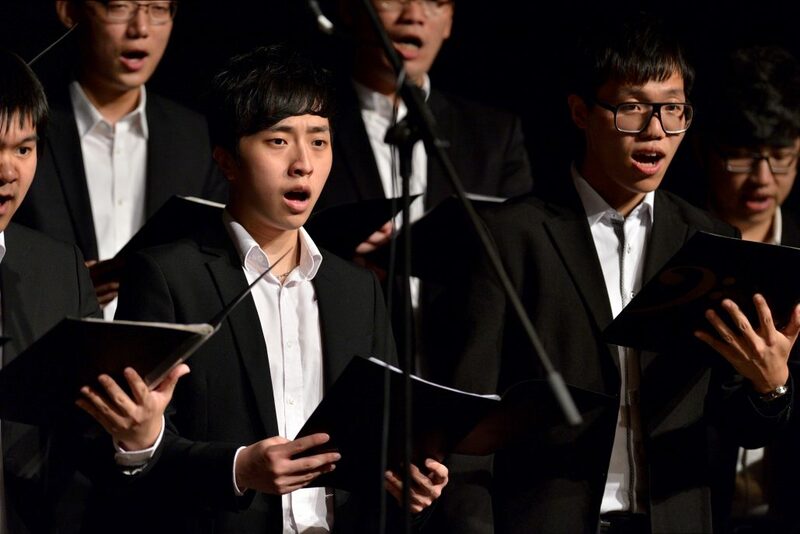 To complete the set, we performed “Opening Nigh Section IV” with veteran choral ensemble Brio. 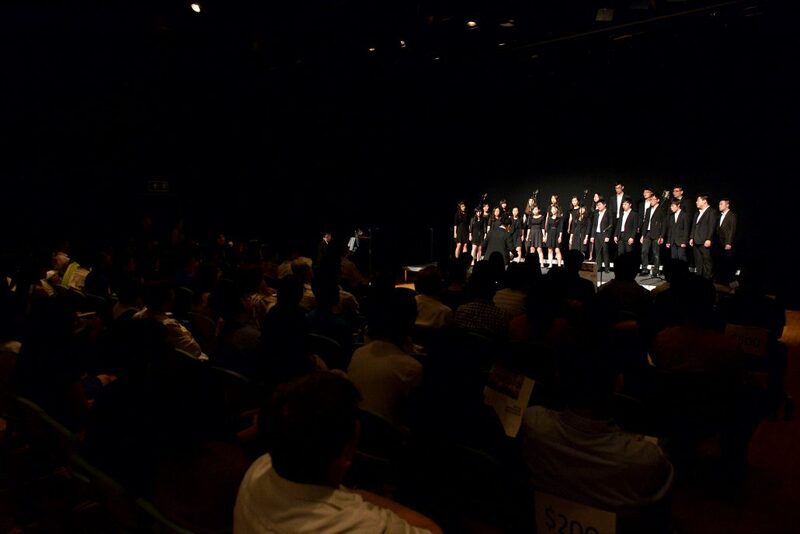 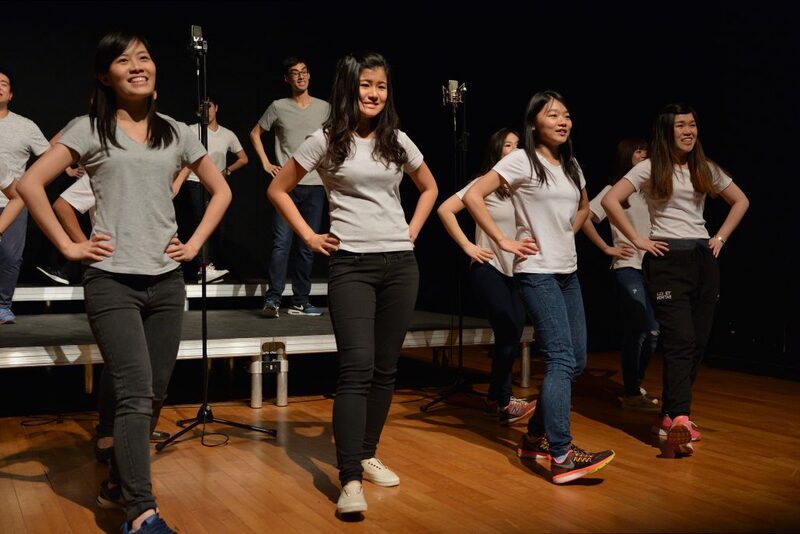 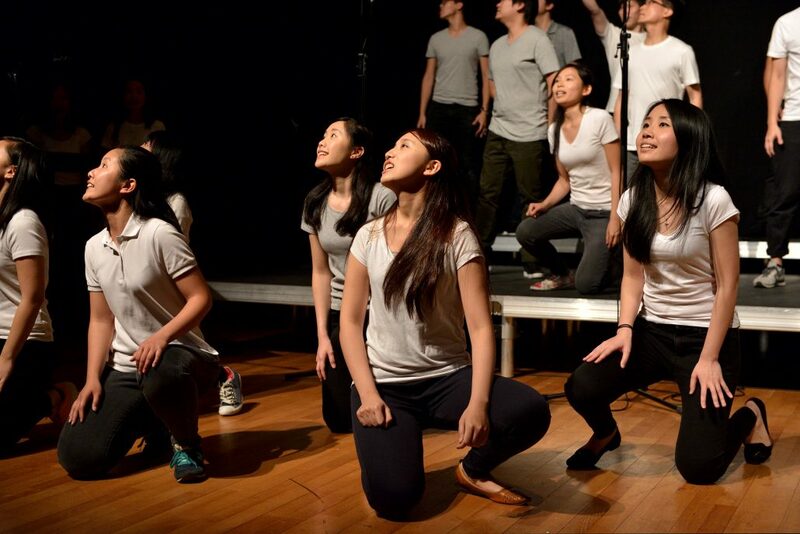 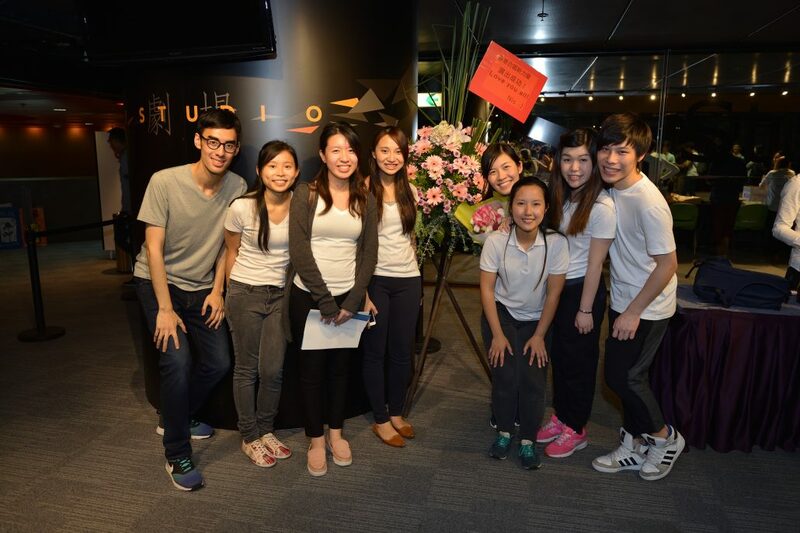 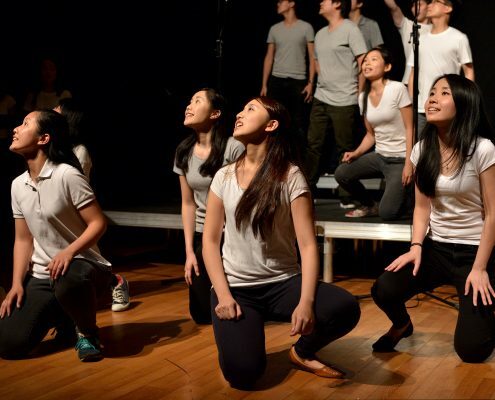 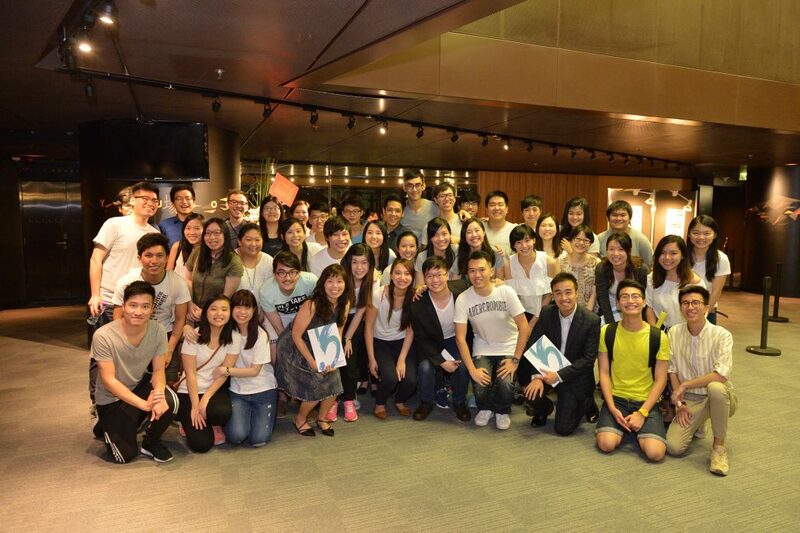 In all, it was great to see how the Chorus has grown and to be thankful for all the support in our formative years. 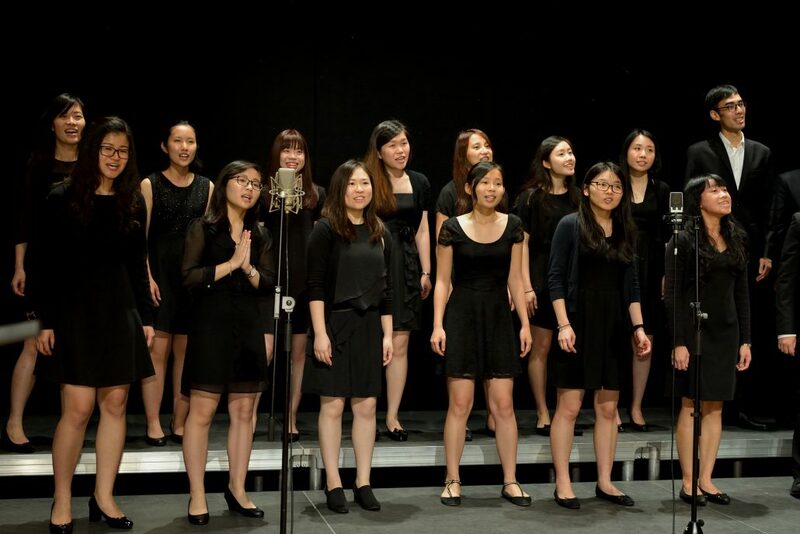 It was a fantastic way to both recall our debut in our “Sing out a Dream” concert from 5 years ago while also celebrating in anticipation of our work to come.